Died: Jerusalem, Israel, 312 BCE. 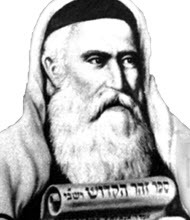 The Talmud breaks down this period of the 2nd Temple down into three successive stages, with the first stage being the most meritorious, the second marking a gradual spiritual decline, and the third the most deleterious which ended in the destruction of the 2nd Temple in the year 70 C.E.. Shimon HaTzaddik officiated as the high priest during the first era. When Shimon Hatzaddik was Kohen Gadol, Talmai captured Judea, destroyed the walls of Jerusalem, plundered the Temple treasures, and sold 100,000 men and women as slaves. When Talmai finally left, Shimon Hatzaddik devoted himself to repairing the devastation of Judea and he rebuilt the walls of Jerusalem. 1) The lot (goral) inscribed LaHashem, would always appear in the right hand of the high priest during the Yom Kippur service. 3) The western-most lamp (ner ma’aravi) of the Temple menorah would always be burning. The priest would use its fire to kindle the next days lamps. 4) The pyre on the altar (aish ha-ma’aracha) did not require any additional wood to sustain a strong fire. 5) There was a blessing upon the first fruits of the Omer, the two loaves offered on Shavuot, and on the loaves of the showbread so that each priest was satisfied with a portion no larger than the size of an olive. The faithfulness and goodwill that Shimon HaTzaddik embodied during his public tenure as high priest profoundly inspired the nation. His taught: Upon three things the world is based: upon Torah, upon avodah (service; prayer), and upon acts of kindness. (Pirkei Avot 1:2) He is described as a person who took great thought and consideration regarding his fellow man. His extraordinary character affected the people deeply, and this manifested itself with a host of miraculous phenomena in the Temple, the House of Shimons dedication. 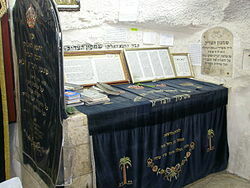 Following his death, however, the Jewish people were unable to sustain the spiritual heights which they had achieved during Shimon HaTzaddiks lifetime. As a result, they digressed into a downward spiritual spiral from which they never recovered. This decline continued and worsened as the second Temple era continued to unfold. After the death of Shimon HaTzaddik the occurrence of these miracles became sporadic; there were some years when these miraculous signs occurred, and there were other years when they did not. This spiritual decay plunged to its lowest point during the last 40 years of the second Temple period. None of the above miracles occurred during these last four decades of the second Temple. Although there were a number of sins that were rampant among the nation of Israel throughout this spiritual decline, there was no iniquity that was as self-destructive as the interpersonal baseless hatred that was pervasive among the Jewish people during this difficult time. This dreadful self-inflicted wound had infected the Jewish people and ultimately brought about the destruction of the second Temple. The Talmud bears record to this spiritual decay, and declares that this national tragedy reached its height exactly 40 years prior to the destruction of the second Temple. It was during this turbulent time that murders became so widespread that the Sanhedrin ceased to judge capital crimes such as homicide. The year that he died, he predicted, “This year I an going to die.” When they asked him how he knew, he answered, “Every Yom Kippur an elderly man dressed in white and wrapped in white would enter and leave the Holy of Holies with me. Today, though, an elderly man dressed in black and wrapped in black entered with me but he did not come out with me.” After the holiday of Sukkot he fell ill for seven days and then he died. That year the kohanim did not mention the Tetragramaton while reciting the priestly blessing (Yoma 39b). May the merit of the tzaddik Shimon Ha-Tzaddik protect us all, Amen.